Your High Street at High.St - Shops and businesses on the High Street. In the examples above, click the logo to go to the company's web site. Click on their name to check out the email. Retailers and businesses can also join the High.St by following the Next Step link from this page. 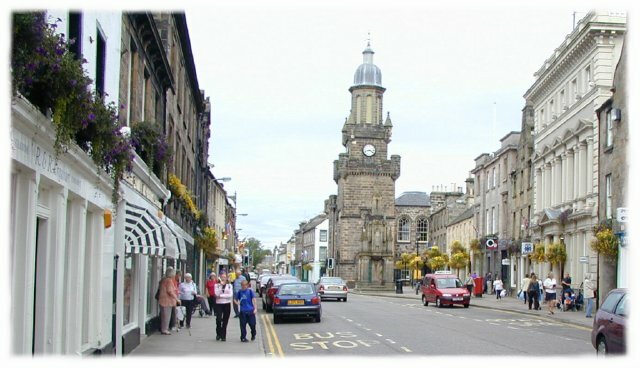 It does not matter if you are not located on the High Street, this is a virtual High St symbolic of where people go to shop and do business. On subscribing to the High Street, we will create a link to your web site and provide you with a High.St email address. "High St" is highly placed on the search engines like Yahoo and Altavista which means customers can find you very easily. We are often asked if "High.St" is a valid address. Yes it is! '.St' is a valid country code domain, just as '.uk' is valid. We own the domain at the next level down, ie 'High.St' and market this for your benefit as the High Street. Ann Summers now have a turnover of £110m from their 117 High Street shops. Ann Summers favour the term 'Pleasure Retailer' and shoppers are certainly less coy about going through the doors. Woolworths shares shot up on talk of a possible offer from Apax Partners, the private equity group. ONS figures indicated that the 2004 Christmas sales on the High Street were the worst since 1981 but the picture is mixed. Volume was up and non-seasonally adjusted numbers were comparable with 2003. For every retailer saying sales were down, another was reporting an increase.